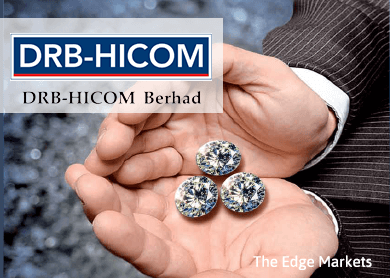 BATU CAVES (Sept 22): DRB-Hicom Bhd's wholly-owned unit, DRB-Hicom Commercial Vehicle Sdn Bhd (DHCV), is targeting to expand its truck and prime mover vehicles business by selling at least 300 units of Tata vehicles in the financial year ending March 31, 2016 (FY16). "We have faith in this brand and at the moment, we have set a modest target for our growth. The initial target to sell 300 units will be for imported Tata vehicles such as Tata Xenon, Tata Prime Mover and Tata Ultra. After FY16, we will sell locally-assembled Tata vehicles, which will be manufactured at DRB-Hicom's plant in Pahang," DHCV's acting chief operating officer Mohd Syahrul Yusuf told a media briefing this afternoon. DHCV is the exclusive distributor of Tata vehicles, a brand owned by India's Tata Motors Ltd.
Tata Motors — the world's fifth largest truck manufacturer — also owns Jaguar and Land Rover brands. To recap, DRB-Hicom had on Sept 9, 2013 signed a distribution agreement, importation agreement and technology license agreement with Tata Motors, which had enabled DHCV to exclusively distribute Tata's commercial vehicles in Malaysia. In addition, the agreement had also allowed DHCV to assemble Tata's commercial vehicles in Pahang. "We are investing around RM10 million to ready the plant in Pahang. By having a local facility, it will create jobs and at the same time, ensures that Tata vehicles will be equipped with sufficient amount of local content," said Mohd Syahrul. However, without specifying timeframe, he added that DHCV expects to grow Tata vehicle's local content from minimal amount currently to 40% in the long run. Currently, Mohd Syahrul said DHCV imports most of Tata vehicles' components and parts from India, with transactions done in US dollar. "Yes, the weakening ringgit is taking a toll on our financials. But we have taken some prudent steps to ensure that we are not heavily affected, which also include hedging mechanism," he added. Mohd Syahrul also said that once Tata's branding in the country has strengthened, DHCV expects to export Tata vehicles in neighbouring countries, such as Vietnam. "The first year of our operations will be about branding and market awareness. Once we have established a strong footing, then it will be easier for us to drive sales and growth, and eventually formulate our export strategy," quipped Mohd Syahrul. Going forward, Mohd Syahrul said DHCV is in the discussion to expand Tata's portfolio products, from trucks and prime movers to include buses. "Discussions are in the pipeline, with us mulling to supply buses under Tata's stable of brands, to agencies such as Land Public Transport Commission, or even public transport operator such as RapidKL. It is very much at a preliminary stage," he added.